A well-fleshed out intent data program can drive more revenue and higher qualified leads and accounts than any other channel, but it isn't always that simple. 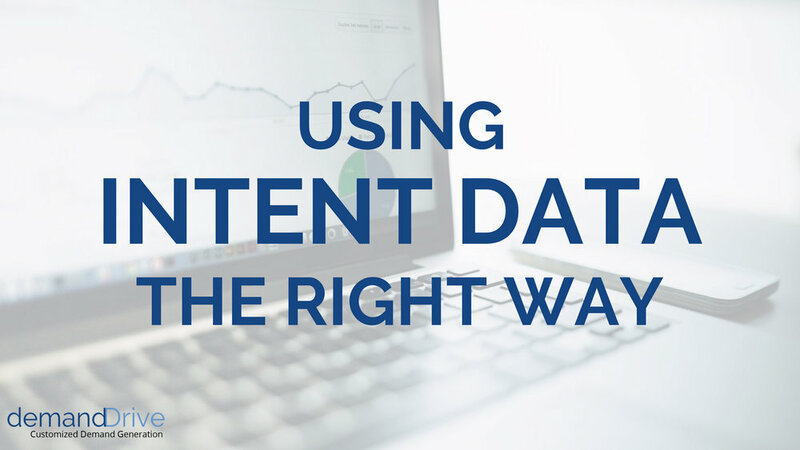 How is B2B intent data being used today? What are the challenges to using it? How do we get around them? Join us as we discuss these topics with Becky Mendenhall, Senior Manager of Demand Generation at Cumulus Networks. Sales Development is an ever changing field. What worked a few years ago could now be considered archaic, and what works now might soon be thought of as a thing of the past. Keeping up with these trends is especially necessary with a function as important as sales development. Account-based marketing (ABM) + account-based sales development (ABSD) = account-based funnel management (ABFM). Join Lindsay Frey, President, demandDrive, and Lora Kratchounova, Principal, Scratch Marketing + Media, for this discussion of what sales and marketing organizations must do to join forces and launch a true account-based approach that will maximize penetration of the accounts that matter most to their business. Share key findings from our industry report and survey of over 100 marketing and sales professionals. Account Based Outbound is the definitive account-based sales development model. Enterprise vendors need to gain traction inside key accounts and forge relationships with influencers & decision makers. • Provide a blueprint for a successful Account Based Outbound lead gen strategy. • Include methodology from Strategy to MQL to SQL. • Most sales teams will try to merge traditional Account Based Marketing tactics with classic cold calling strategies. And that simply does not work – we’ll show you why. We’ve heard it time and again – buyers are now in the driver’s seat of the sales process. They have the power to choose when to engage with vendors – typically 50-60% into the sales funnel. We also know that B2B buyers start their journey online – using search, video, social channels and forums to educate themselves on how to change and adapt to a dynamic marketplace. So in order to engage this empowered buyer, B2B tech companies need a new approach to marketing and sales – the Digital Authority approach. 5 Sales Funnel Metrics you Aren't Tracking Today...But Need to Be! Tech B2B sales and marketing teams measure various KPIs that affect their lead generation strategy and influence production. Are you tracking and optimizing all of the important sales funnel metrics that help drive revenue? •Identify 5 critical sales funnel metrics that are often overlooked but play a large role in both lead generation and overall sales success. •Discuss why these metrics are important yet undervalued. •Show you how to track and capitalize on these sales funnel metrics in order to improve lead generation results and sales development success. Sales development is a fundamental piece of developing a successful B2B sales strategy. Outbound prospecting, cold calling, MQL follow-ups, etc are each well-documented versions of sales development, yet they are also often mishandled. In fact, one of the most frequently bungled components of sales development is the resource allocation. Many tech companies, especially growth stage organizations, will have closing sales reps (Enterprise Reps, Outside Reps, AEs, etc) be responsible for their own sales development results. Building, growing, & managing a team of sales development Reps (SDRs) is a tough task. One of the best ways to ensure immediate (and long-term) success is to optimize your onboarding process.